Mozambique Forced to Restructure After Debt Default. Since 2014 many energy producing emerging states in Africa and worldwide have fallen into recession resulting in long term financial implications. Mozambique was declared in default and plans to work out new terms of payment on at least $2 billion in bonds held by western investors. The escalation in national debt is clearly related to the significant decline in commodity prices and the lack of currency reserves to offset the rise in payments demanded by international financial institutions. It was announced during late February that Mozambique would be in default for another five years. A meeting between Mozambican leaders and International Monetary Fund (IMF) officials on March 5 revealed that its public sector debt to Gross Domestic Product (GDP) was 128 percent. IMF executive directors are prescribing the traditional measures related to restructuring. These include the reduction in public spending through the consolidation of government departments along with the shedding of assets through a process of privatization. Yet the purported challenges facing the Mozambican economy are the direct result of the western financial system which the IMF represents. This entity based in Washington, D.C. is an outgrowth of the post-World War II monetary system that established the United States as the leading imperialist country internationally. Measurements of the GDP in this Southern African state are contingent upon its ability to produce and sell its resources within the global market. When prices fall based upon the economic policies within the western nations, Mozambique and other African countries will undoubtedly suffer. In the short-term, the government has indicated that it is seeking international assistance to respond to a threat by pests to its agricultural production. Deputy Minister of Culture and Tourism, Ana Comoana, spoke on March 13 about the potential catastrophic impact of these pests if effective measures are not enacted. Comoana noted that up to 30-40 percent of crops could be destroyed if the problem is not addressed with urgency. Consequently, the government in Maputo needs at least $US2.6 million to take the corrective action aimed at halting the destruction otherwise the financial situation will further deteriorate. As a former Portuguese colony beginning in the late 15th century, the country was exploited heavily by what became one of the poorest states in Europe. The African people through the leadership of the Mozambique Liberation Front (FRELIMO) waged a protracted political and armed struggle during the 1960s and early 1970s which won national independence in June 1975. Nonetheless, the FRELIMO government faced formidable challenges through the deliberate destabilization efforts of the settler-colonial regime in neighboring Rhodesia from 1975-1979, when this former British colony gained its independence and became modern-day Zimbabwe. Later the white-minority apartheid regime in South Africa continued to fund the so-called Mozambique National Resistance (RENAMO) which worked on behalf of imperialism in an attempt destroy the revolutionary process. Both Rhodesia and apartheid South Africa engaged in direct military operations in Mozambique during these periods leaving hundreds of thousands dead and dislocated. The agricultural sector in Mozambique supplies 90 percent of domestic food products with crops such as cassava, maize, millet, rice, tea, tobacco, sugar and beans. Cotton is the major agricultural export crop in the country. There are attempts underway to rejuvenate textile production utilizing this resource. In addition, fishing is also an important element within the national economy. However, due to continuing problems within the storage and transportation sectors it is estimated that 30-40 percent of food products rot while waiting to be sent to their market destinations. Harvests and livestock are often endangered as well due to drought and flooding which has dislocated hundreds of thousands of people over the last two decades. 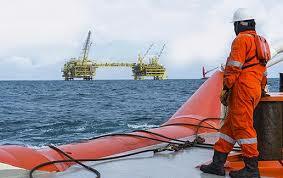 Oil and natural gas drilling activity is providing enhanced potential for acquiring the financial means to build Mozambique into a major economic base within the sub-continent where the country plays a significant role in the 16-member Southern African Development Community (SADC). Exploration for oil is a continuing work-in-progress. However, the advent of enormous natural gas fields in Pande and Temane within Inhambane province could be a mechanism for both external trade and domestic consumption. In February there was the signing of a deal between the Mozambique Council of Ministers and the Houston-based Anadarko Petroleum Corporation said to be worth $20 billion. Liquefied Natural Gas (LNG) resources in the country could make Mozambique the fourth largest producer of this energy resource in the near future. Judging from historical fact the capitalist “restructuring” of post-colonial African economies during the period between the late 1960s and the conclusion of the 20th century did not improve the overall standard of living for African workers, farmers and youth. At present there is the re-emergence of the African debt quagmire stemming from the decline in commodity prices and the lack of inter-state continental economic relations. As long as African Union (AU) member-states remain junior partners within the world capitalist system these problems will continue and hamper the sustainable development and sovereignty of the region. Social by-products of this continuing dependency portend much for the national and continental security of Africa. Hence the rise of the U.S. Africa Command (AFRICOM) over the last ten years is providing a military force for the imperialist agenda of institutionalizing neo-colonialism into the indefinite future. The AU Extraordinary Summit to create an African Continental Free Trade Area (ACFTA) in Kigali, Rwanda during mid-March 2018 is a positive step in the right direction with a special focus on development for the benefit of the people. However, if this economic integrative effort remains within a global production and trading system led by western imperialist states it can never reach its full potential. Genuine Pan-Africanism will only be realized within the context of socialist construction where a continental state led by popular forces is empowered to determine the destiny of the people ensuring political and social independence of both domestic and foreign policy. Mozambique is a case in point for a rethinking of the strategic agenda for the AU. Absent of enacting a non-capitalist approach only leads to yet another generation plagued by poverty, uncertainty and underdevelopment.